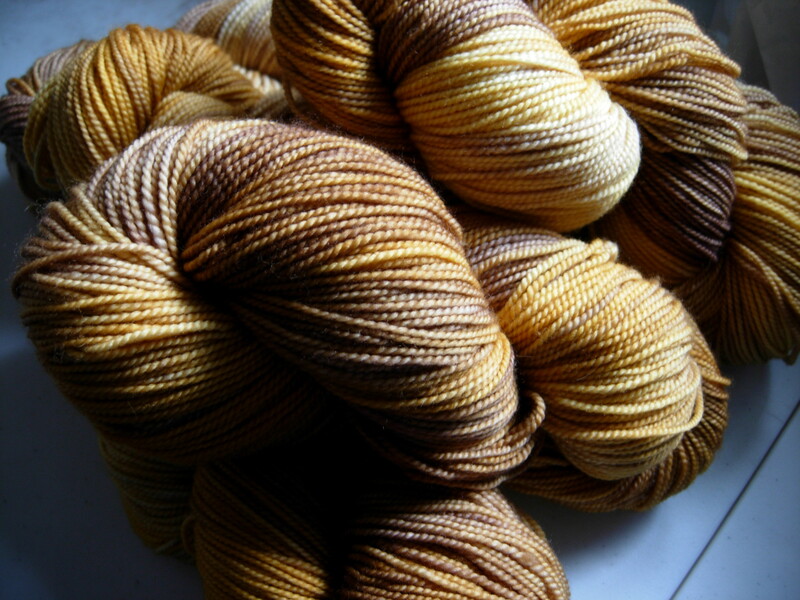 This colourway looks like straw…golden spun straw. And I keep hearing the name “Rapunzel””Rapunzel” but I was informed that Rapunzel had pure gold hair….so we’ll have to go with Straw into Gold. This is a fun and unexpected colourway and would be awesome as a lace shawl.